NTT DATA Services is committed to improving patient outcomes by connecting the healthcare ecosystem. A recognized leader in the healthcare space, we deliver targeted segment solutions including patient engagement, predictive analytics, healthcare cloud hosting, integration and interoperability, clinical and claims application implementation, revenue cycle management and policy administration, in addition to core managed infrastructure, application and business process services. Our clients include more than 2,000 acute care clients, 40,000 clinicians, 40 pharmaceutical clients, 15 medical technology clients and 50 insurance providers in support of 65 million policy holders. Visit https://us.nttdata.com/en/industries/healthcare-and-life-sciences/health-plans for more information. Toshio Iwamoto is president and chief executive officer of NTT DATA Corporation. He leads a global IT services and solutions company specializing in consulting, system development and business IT outsourcing. The company comprises 100,000 employees in more than 50 countries around the world. Toshio was appointed to this position in June 2012, prior to which he held leadership roles at NTT DATA covering the public and financial IT and business sectors. NTT DATA began business operations in 1967 as the data communications headquarters of Nippon Telegraph and Telephone Public Corporation, and has built numerous large-scale systems to support social infrastructure over a period of some 50 years. As a systems engineer and later, a project manager, Toshio has overseen several such projects for the central government, the Bank of Japan, the largest payment system in Japan and information provision systems of the Tokyo Stock Exchange, contributing significantly to the development of Japan’s information technology scene. 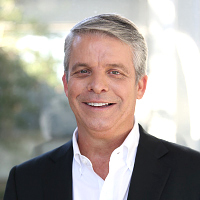 John W. McCain, Chief Executive Officer for NTT DATA, Inc.
John W. McCain is chief executive officer of NTT DATA Services, overseeing more than $4 billion in revenue, and 50,000 professionals doing business in nearly 40 countries. John has more than 30 years of experience in the IT services industry, having held leadership roles with Keane, Inc., Hewlett-Packard Company, EDS and Capgemini. 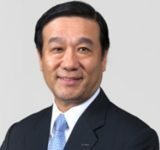 He also serves as a member of the NTT Holdings Global Strategy Committee and senior vice president of our parent company NTT DATA.